London Bees: Davies, Clarke, Hurley, Watts, Anderson, Nparta, Goddard (capt), Cooper, Beckett, Wilson, Howells. Substitutes: Greenwood, Georgiou, Scanlon, Clark, Will, Harris, Riches. 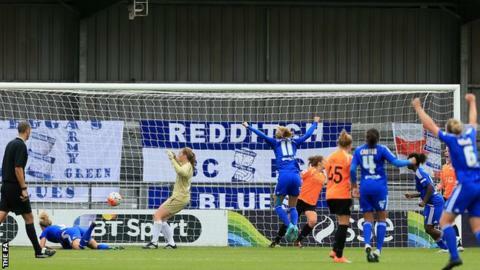 Birmingham City: Berger, Carter, Harrop, Ayisi, Linnett, Hegerberg, Stringer, Lawley, Westwood (capt), Haines, Mannion. Substitutes: Baggaley, Windell, Linden, Wellings, Peplow, Scofield, Brazil.